While at an international gathering of scientists, J.B.S. Haldane, famous for his genetic theories and infamous for his outspoken atheism, was approached by a cleric from the Church of England. This priest, a scientists in his own right, asked Haldane to suspend his disbelief for a moment and speculate on what his lifelong study of nature might reveal about a creator. "He has," Haldane responded, "an inordinate fondness for beetles." 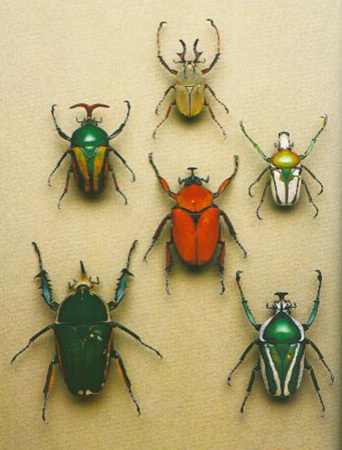 Just how many kinds of beetles there are nobody knows. Estimates range from 350,000 to over 8 million species of beetles. They represent, in themselves, an amazing 25% of all known animals including other insects, mammals, reptiles, birds, mollusks, coral, worms, sea anemones on the face of the Earth today. If success is measured by numbers, they are the most successful animals to have ever lived. 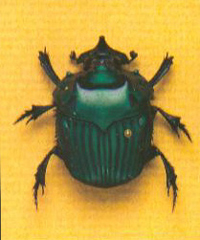 The sheer number of beetles is echoed in their ecological diversity. Their habitats stretch from the arctic to the equator, from the alpine to the desert, from the subterranean to the arboreal, and from the terrestrial to the marine. Their sizes range from microscopic to that of a box turtle a range greater than that between the smallest mammal, a shrew, and the largest, a blue whale. Their variety of colors and shape is unsurpassed in the animal kingdom. 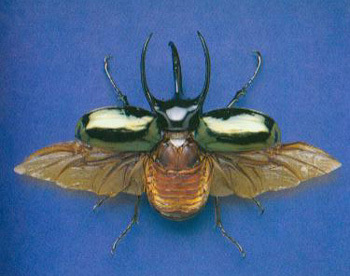 The question arises, and this is the central theme of An Inordinate Fondness for Beetles, what is the source of this unparalleled biodiveristy? Why are there so many different kinds of beetles in such overwhelming numbers, living in so many places? Arthur V. Evans, D.Sc., is the director of the Insect Zoo at the Natural History Museum of Los Angeles County. Author of numerous papers on the systematics and biology of scarab beetles, he now focuses his energies on living insect exhibits as a means of introducing the general public to the fascinating world of the most successful animals on Earth. Charles L. Bellamy, D.Sc., is a senior curator in the Department of Coleop-tera at the Transvaal Museum in Pretoria, South Africa. Considered one of the worlds leading authorities on jewel beetles, he has traveled extensively throughout the world in search of clues to their evolutionary development.